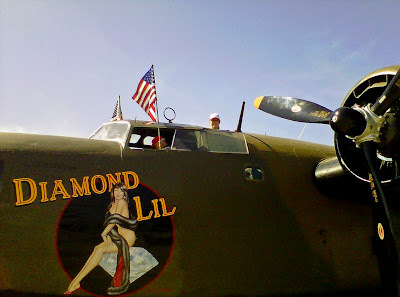 Appreciating the Greatest Generation - WWII and the 15th Air Force B-24 Liberators (Part 2) ~ Learn, Live, and Explore! To round out my research into my grandfather's participation in WWII and the 456thBG, I was determined to get a real life experience flying in a Consolidated B-24 Liberator. I saw one on the ground at the air show earlier this year, but that model of the B-24 was actually a pre-war model that was maybe used in the earliest part of the war, but was quickly replaced by more practical models. 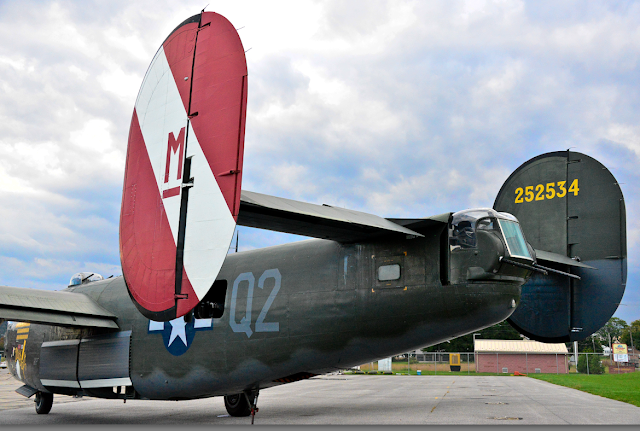 The Collings Foundation Wings of Freedom Tour travels around the country year-round with several WWII aircraft, one of which is a B-24J model. 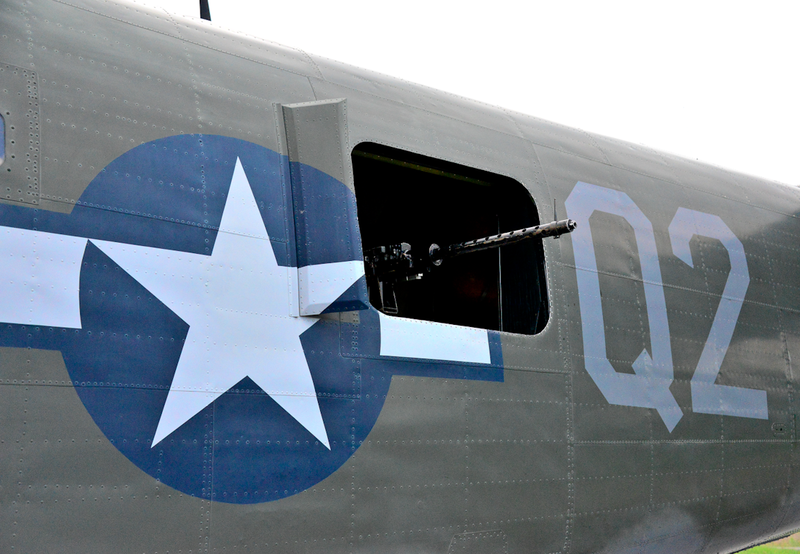 When it was initially restored in 1989, the airplane was painted to celebrate the 15th Air Force out of Italy, using the colors and nose art of the "All-American," whose crew achieved a record by shooting down 14 enemy aircraft in a single mission and was only one of two planes to return that day out of a squadron of 19. 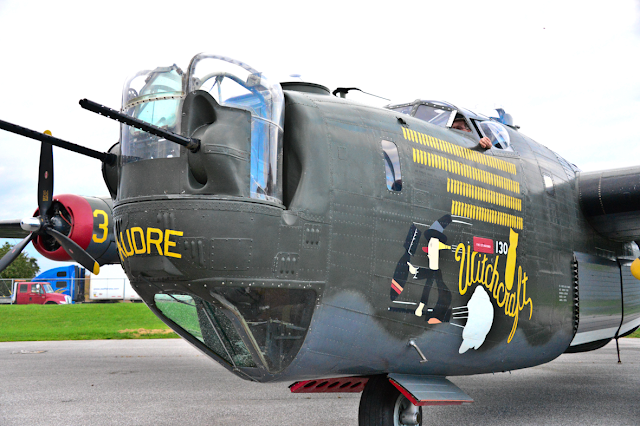 Over the years, the B-24J has had two additional facelifts, one to honor the War in the Pacific taking on the colors and art of the "Dragon & His Tail," and it's present-day representation of "Witchcraft," a member of the 8th Air Force, 467th bombardment group, 790th bomb squadron that served in England and the EuropeanTheater of Operations (ETO) and completed a record 130 combat missions. 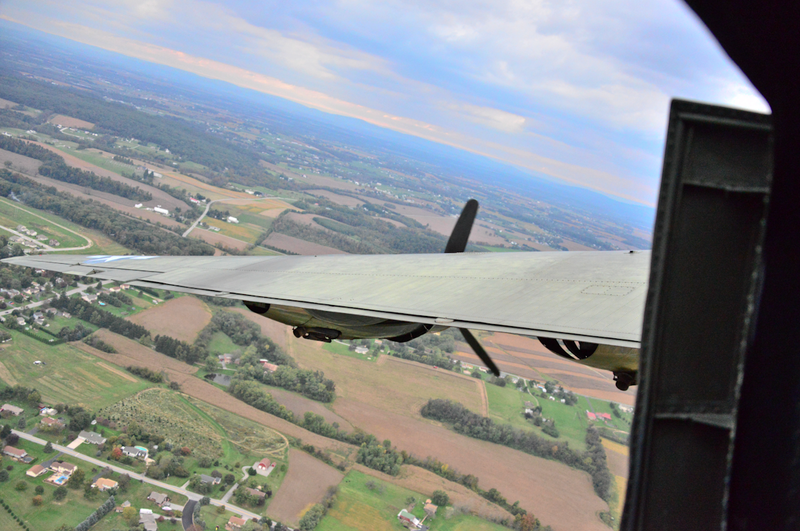 Taking a short trip on the restored Liberator isn't cheap, but much of the money goes to counter the high cost of maintaining these planes that are 70 years old. When I arrived at the airport, the B-17 on tour with the B-24 was getting ready to take off with its group of warbird enthusiasts. Once it had cleared the loading area, my small group (maximum 10 people) was ushered to the B-24. When they describe this as an authentic experience, they aren't joking. 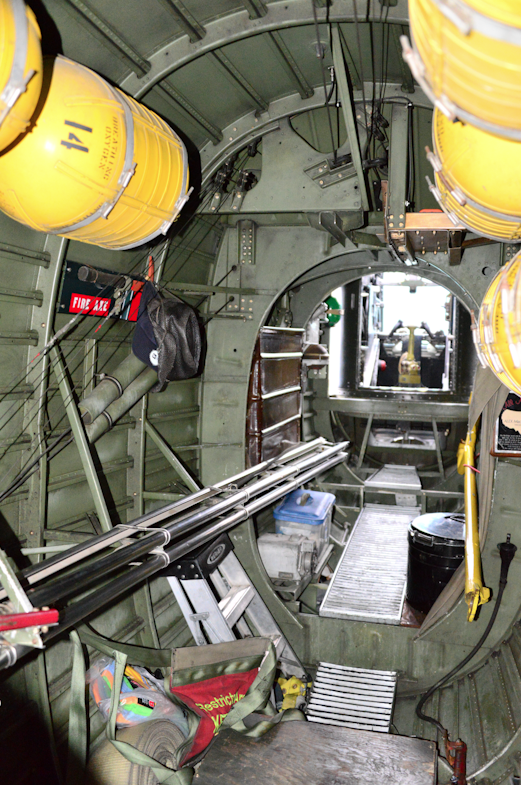 There are no added safety features to this plane - large openings (windows) for the guns with no plexiglass and we boarded the Liberator just like the crews did in WWII, through the bomb bay doors on the belly of the plane (see the slatted doors that are open under the wing). We hoisted ourselves up onto the narrow (maybe 10" wide) catwalk that traverses the bomb compartment. 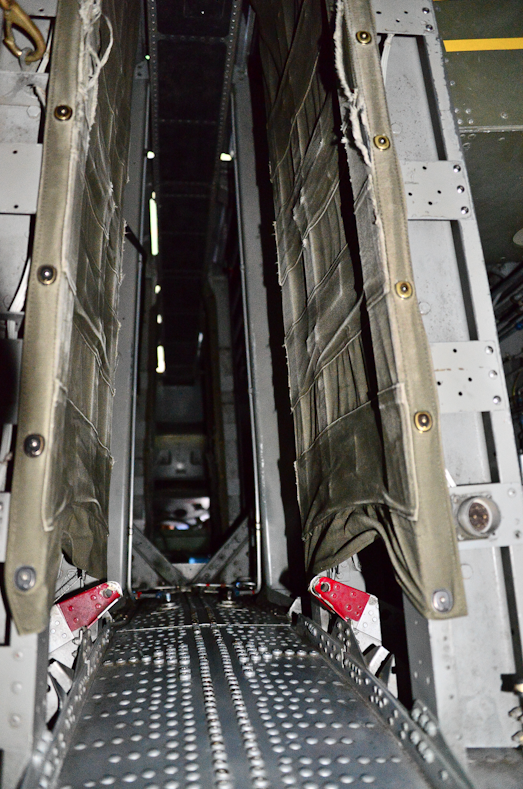 I remember reading in Mr. Shuster's memoir that the bomb bay doors were not thick and definitely not capable of holding the weight of a human, which made the in-flight crossing rather perilous. I was surprised that they only had some ropes strung from one bulkhead to the next to assist you. Once inside, we then headed to the tail where we were assigned places to sit. 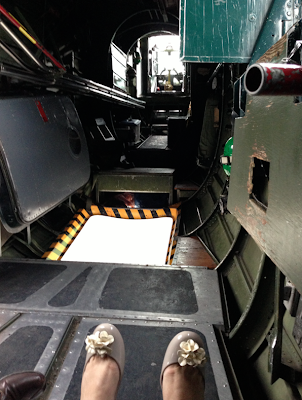 I had the seat next to the waist gunner position, facing the tail on the floor of the plane, buckled to a bulkhead. 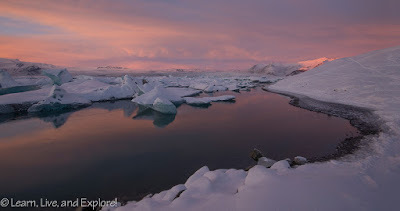 Once we were airborne, it was surprisingly quick before we heard the bell that gave us the all clear to walk around. We had about 20-25 minutes to wander the entire B-24 from nose to tail. I started heading back to the tail gunner position, just out of convenience, then enjoyed the views of York and Gettysburg from the open windows before heading around the ball gunner to the narrow catwalk. 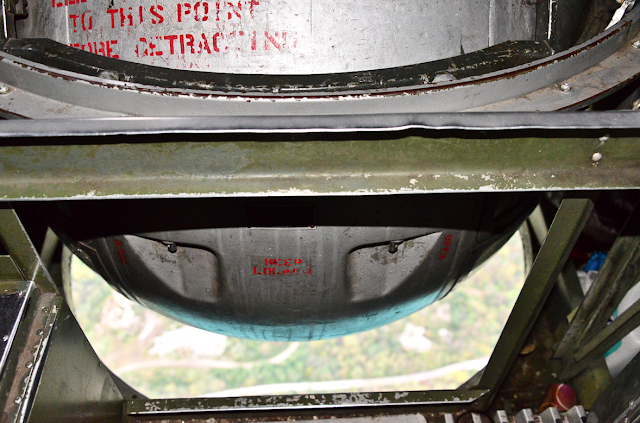 Yes, that is a gap around the ball turret in the photo below! I actually dropped my lens cap as I was waiting for my turn on the catwalk, and it almost did a 10,000 foot plunge towards the farmland below. Fortunately, I caught it just in time. In the nose of the plane, you had two places to explore. Hoist yourself up, and you're in the area behind the cockpit. I think this is the navigator's position. If you lower yourself into the compartment below, you literally had to get on your hands and knees to crawl around the retracted nose wheel to get to the bombardier and nose gunner position. Before we knew it, the bell was going off indicating we had to return to our seats for landing. To say this was a special experience is an understatement. 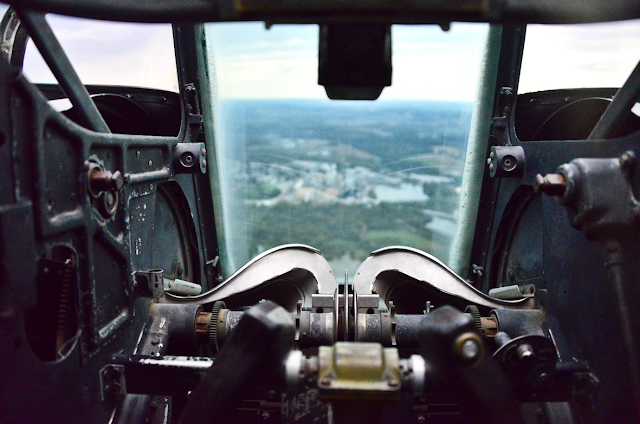 I loved the opportunity to live history and to gain an unique perspective into what it was like to be a crew member on the B-24 Liberator. Of course, for a truly authentic experience, they would have had to place anti-aircraft guns all over the countryside to shoot up flak. I'm not sure if I'd pay for that kind of adrenaline rush!